Perimeter of a Rectangle is the total distance around the outside of a rectangle. 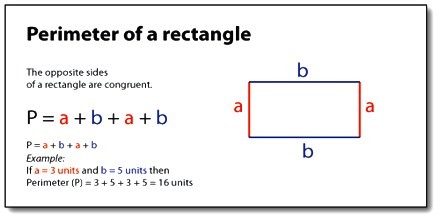 The perimeter of a rectangle is equal to the sum of all the sides. However, since a rectangle’s opposite sides are congruent, we only need to know the length and width. 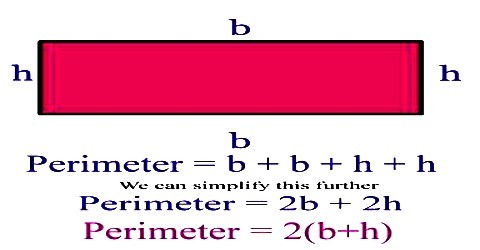 Example: Find the perimeter of a rectangular field of length 45 m and width 35 m.
So, the perimeter is 160 m.